Fundraiser for Mia Tragus by Dean Tripodes : Help Matthew Tragus from epilepsy! Matthew was born on June 9, 2010, He was 8 pounds and had a full head of hair. Matthew was a very sweet baby, he brought joy and lots of love into our home. His two older brothers Thomas and William loved him and spoiled him every day. And his younger brother Lucas follows him around every day. A few days after Matthew had his first birthday, he became very ill with an unknown virus and developed bronchitis and pneumonia while on antibiotics. As he became sicker and sicker, we rushed him back to the ER and were told that his blood oxygen was very low and his heart rate was dangerously high. It took doctors several hours to stabilize him enough to go to the intensive care unit. Almost a week later, we were able to bring him home. Little did we know that this was only the beginning of Matthew’s health struggles. When Matthew was close to three years old, we noticed, along with his teachers, that he would not always notice when his name was called or when someone tried to get his attention. He would often seem disoriented and looked as though he was trying to get his bearings straight. Soon after that, Matthew’s speech would suddenly go away and then spontaneously return. Concerned, we took him to his doctor who referred us to get his hearing checked. His hearing checked out fine and we were then sent to a speech pathologist to do an evaluation. The Speech Pathologist concluded that he had Childhood Apraxia of Speech as well as receptive and expressive language delays. We were informed that Apraxia is a sign of a neurological condition and to see a neurologist. We ended up at Children’s Hospital Los Angeles where he was evaluated by Dr. Ramos Platt. She confirmed that something significant was going on neurologically. She felt that it might be a very rare form of Epilepsy and needed to perform more test to be sure. After an MRI and an overnight EEG, results showed that Matthew was having seizure activity almost the entire time he was sleeping. The seizures were preventing his brain from doing the things we all need our brains to do while sleeping. His doctors diagnosed him with Landeu-Kleffner Syndrome. Matthew has lost the ability to verbally communicate and now goes to speech 4 days a week in addition to speech therapy at school as a ways to try to get him to regain his speech. He is on multiple medications all the time as well as receiving a 3-1/2 hour IV immunotherapy each week from a nurse that comes to our house and administers it to him via a port in his chest. Matthew is in and out of the hospital continuously. When his symptoms worsen and his physical and communicative abilities diminish too much, he is admitted to the Pediatric Intensive Care Unit (PICU) for three to four days to receive intense doses of medication that are too dangerous to take outside of the care of a hospital. We have been in the PICU 5 times in the past year, which is completely exhausting for our whole family. Having one parent at the hospital the entire 4 days and the other keeping the household and school going is a huge challenge. Matthew’s doctors have not been able to control and suppress his seizures to a level that will help his brain heal and allow him to talk and hear again. As a result of all this, he has learning a social difficulties as well. Without suppressing his seizures, he may have a very short life. 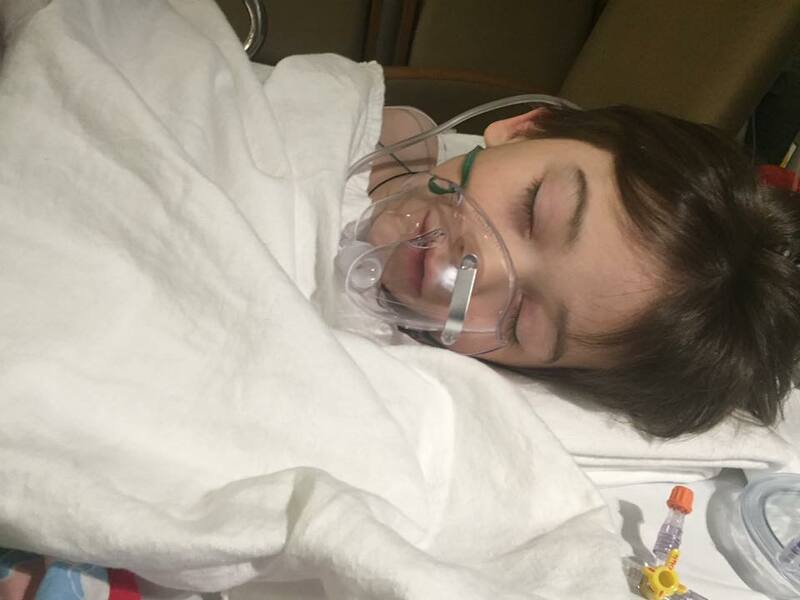 We were told that if his seizures can’t be controlled, he could go to bed one night and never wake up again. Imagine kissing your child goodnight each evening without knowing if he will wake up the next morning. Treating Matthew has been a huge challenge. His disease is very rare with only a couple hundred children in the U.S. struggling with it. As one can imagine, finding hospitals and doctors who are familiar with treating this disease is difficult. 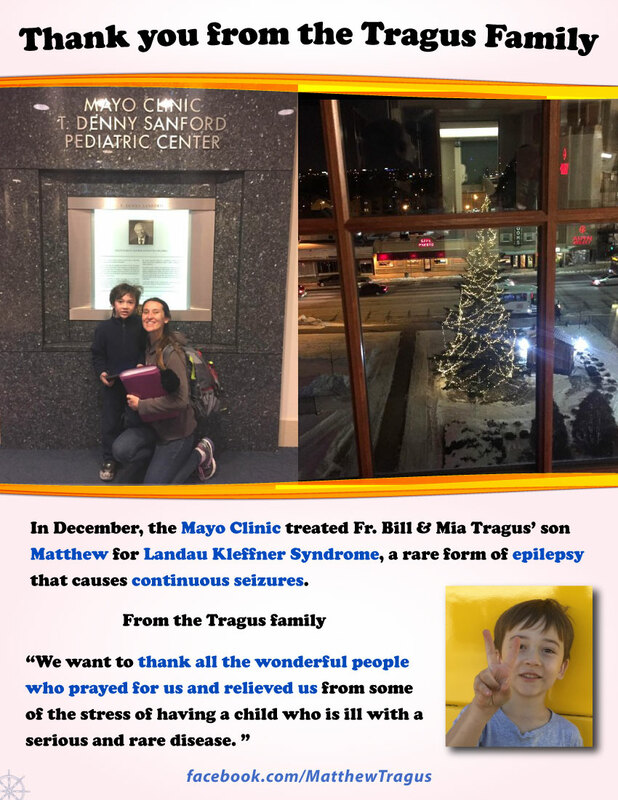 That is why our doctors have asked us to take Matthew from California to Minnesota to have him treated at the Mayo Clinic, where the Pediatric Epilepsy Doctors have more knowledge and experience in treating Landau-Kleffner Syndrome. Our family is big, loud and fun. Father Bill and Presvytera Mia have married for over 13 years. They have 4 boys. Thomas (10), William (8), Matthew (6), Lucas (3). Thomas is all personality and William is a scientist at heart. 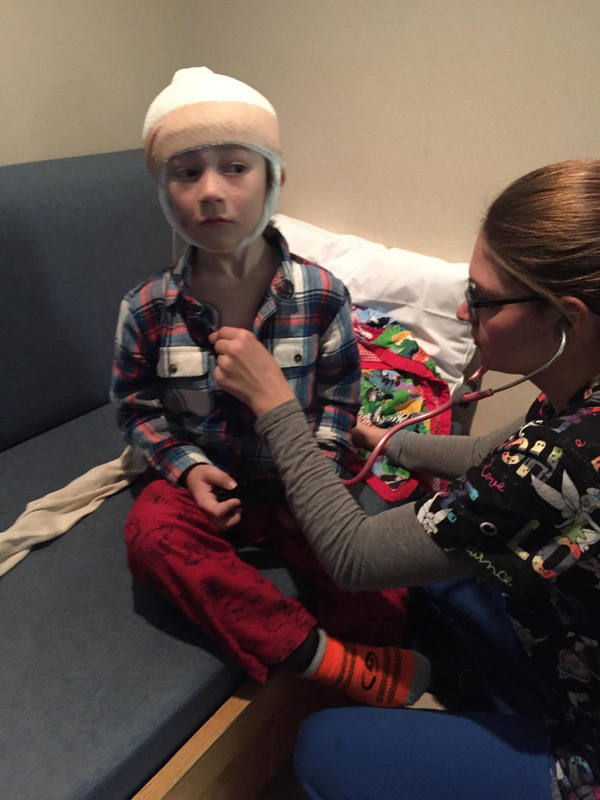 William has medical issues as well and struggles with a rare auto-immune disorder called Eosinophilic Esophagitis, which puts him in the operating room two to three times a year for a endoscopy and multiple biopsies. Matthew is the comedian of the family. If he isn’t laughing at something, he is trying to get you to laugh by doing something silly. Lucas spends most of his day trying to keep up with his brothers and snuggling anyone who will indulge him. Mayo Clinic - St. Mary’s Campus, Rochester, Minnesota. Matthew, both his parents, and a caregiver will be at the hospital from December 12 – 17, 2016. #GoBeyondGiving - Thank you for your donations. 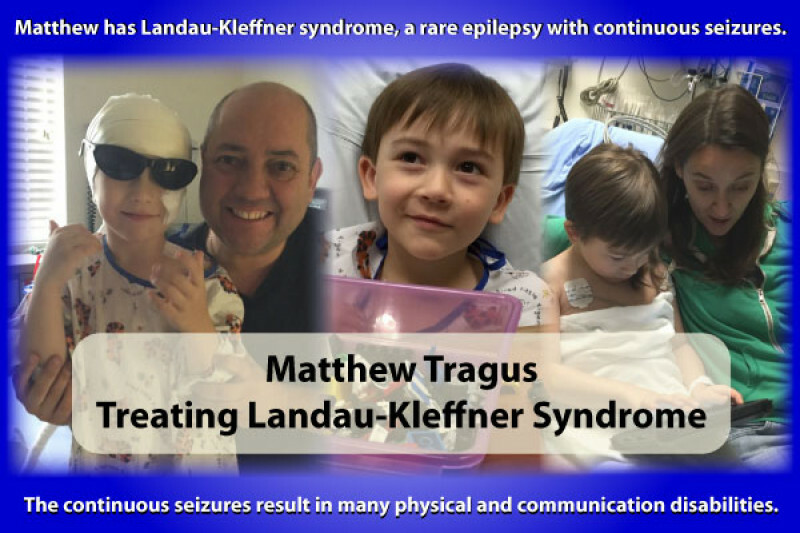 Matthew Tragus has Landau-Kleffner syndrome, a rare form of epilepsy that causes continuous seizures resulting in many physical and communication disabilities. The family is going to the Mayo Clinic in December, and the costs not covered by insurance exceed $57,000. Extra funds raised will go to a medical savings. Thank you to everyone who made it possible to have our six year old son Matthew treated at the Mayo Clinic in Rochester, Minnesota this winter. His first trip there was a good one and happened to begin on the coldest day of the year in Rochester. Matthew was in shock on the first day when he took his gloves off and tried to grab the snow in the -17 below weather. We all definitely learned the value of hot chocolate at that point. 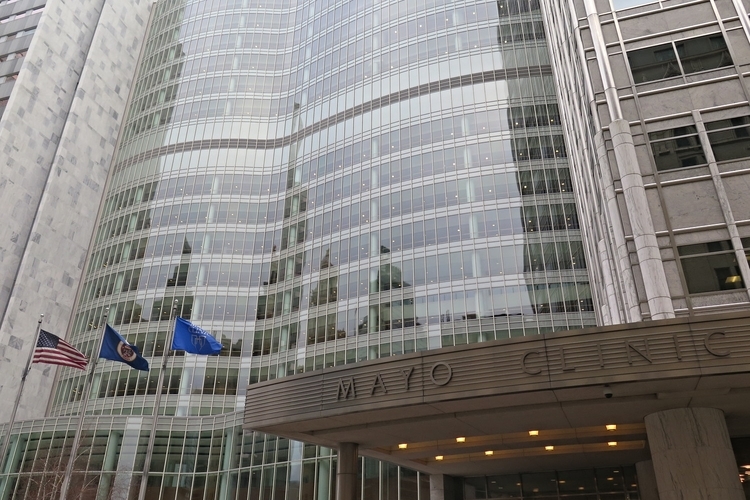 The Mayo Clinic is an amazing hospital and the care they give their patients is remarkable. You all made it possible to treat him with the best doctors we could find for him. Matthew has a long road ahead of him and our next trip is scheduled for this spring. During our visit, the doctors let us know that he has a very complicated case and that they will continue to treat him until he hopefully begins to heal from this very rare form of Epilepsy. We want to thank all the wonderful people who prayed for us and relieved us from some of the stress of having a child who is ill with a serious and rare disease. Caring for a sick child takes over your household and presents daily challenges. Having so many people care and pray for our family and help us with Matthew’s medical financial obligations was amazing to us, and we really can’t express how wonderful and loved it made us feel. Please know that the Tragus family loves you too. While we were at the hospital, we met so many wonderful doctors, nurses and hospital staff over the 6 days that Matthew was at the Mayo Clinic. Thank God for all the good doctors and nurses who care about their patients and always come in the room with a smile and a positive attitude. The doctors diagnosed Matthew with CSWS & Refractory Epilepsy, which is in the Landau Kleffner family and one of the most difficult to treat. We gained some important knowledge about Matthew’s care in Minnesota. It turns out that he was on very high doses of three different medicines and not getting much benefit from them, and has become addicted to these treatments. It will take three months to wean him off his current treatment, while at the same time weaning him on a new treatment. We have just started on the schedule the doctors have given us, and it is difficult to say the least. He often wakes up in the middle of the night and is unable to go back to sleep and his moods change often. The type of Epilepsy that he has is strong and will most likely require additional treatments and medicines. We have been watching him closely and he has been able to pick up some additional new words that we have never heard him say as well as some words he hasn’t said in a long time. We are still using sign with him and he also uses his communication tablet when he is unable to speak. We remain hopeful that he will be able to speak in full sentences one day. The Epilepsy also hinders his hearing and we never know if he can understand us or if the sounds are getting jumbled up and confusing him. We are working on it ... one day at time. Matthew will be back at the Mayo Clinic for 5 days in the spring and we hope he will be able get additional treatments that will improve his condition and quality of life. We are so blessed to have Thomas, William and Lucas as Matthew’s brothers. Matthew’s medical needs impact many aspects of his brothers’ lives, but they meet that challenge with love, acceptance, and a healthy dose of wrestling. All four are all lovable, happy, messy, loud and fun children. As their parents we are going to give them all the best childhood we can offer … and you are all a big part of that! Once again, thank you all so much for your prayers and support! Fr. Bill and Presvytera Mia Tragus and Matthew are back home from the Mayo Clinic. They received more definitive information on Matthew’s condition and new treatment – the family will have more detailed updates for you after Christmas. Right now they are getting ready for Christmas - Fr. Bill says they have lots of shopping to do for the 4 boys. They will have to go back to the Mayo Clinic in a few months. Thank you for contributing to their medical fund - that will help pay for follow up visits and additional medical costs. From Pres. Mia - "After a good nights sleep, and two dollars from the tooth fairy, we checked into the hospital. Matthew got to play before having his port accessed for the 7th time in less than a day. The amazing nurses were able to break up the clot in his port. He had is EEG leads put on afterward. It was a little scary for him, they use air guns to dry the glue that holds the leads to his head. Then they inject a metallic gel inside. It doesn't hurt very much but is very uncomfortable and itchy. One that was done he was able to go back to his room. 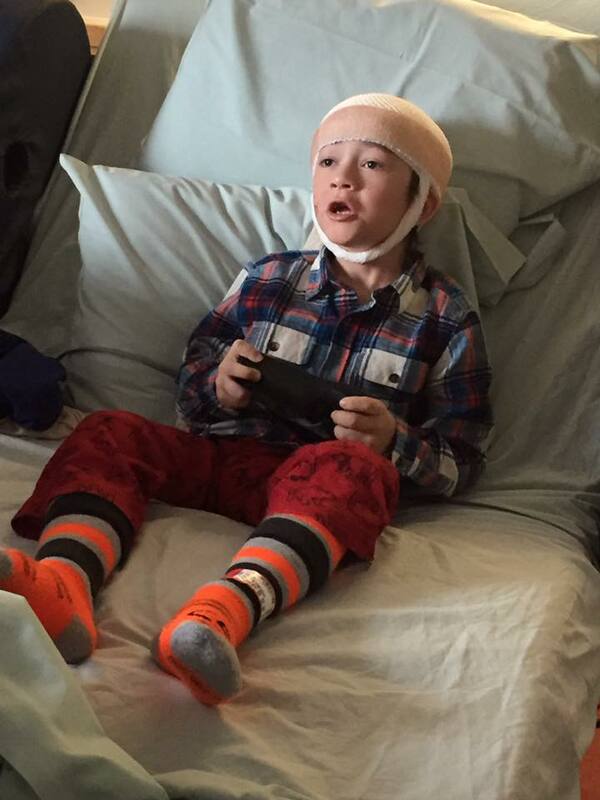 He must stay in his room until the EEG is complete because he is tethered to a computer and must be video monitored the whole time. That seemed like the perfect time to get out the Wii. Matthew gets to leave tomorrow morning, and his final appointment of the day is with Dr. Payne. Dr. Payne will be making the plans for Matthew's treatment and care. Then we have to hurry to get back to Minneapolis and try to beat the big snow storm headed this way. It will be an exciting day!" 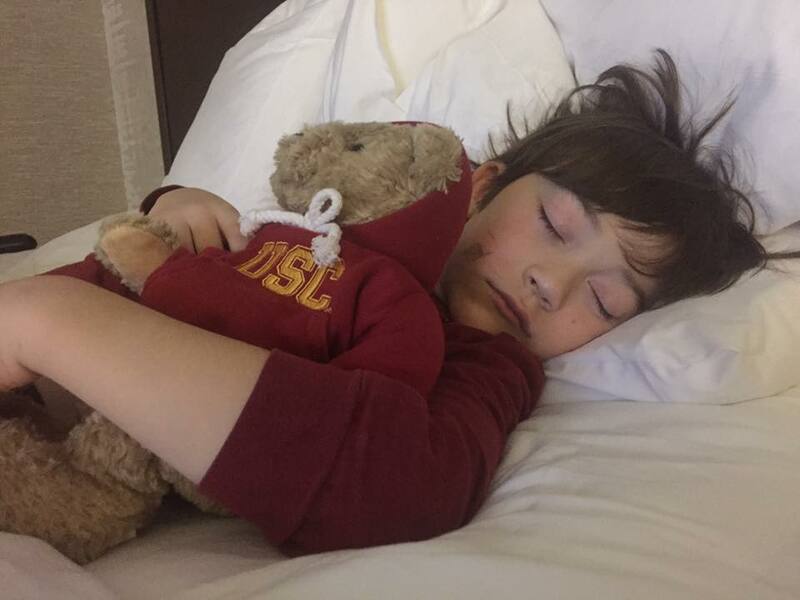 From Pres Mia yesterday: "It has been a long day for this little Trojan. He was able to get an earlier spot this morning. He did great. We had a little hiccup with his port-a-cath. Hopefully they can fix it tomorrow when Matthew is admitted overnight. On a lighter note, the tooth fairy is coming tonight. Matthew finally lost his two front teeth." Fr. Bill sent us a photo today of Matthew being examined by a Mayo Clinic doctor. Did he get more problems after being exposed to the lights at school .my son did.but I was just told of this by a stranger that all these new lights cause seizures.I don't mean to be nosey decreasing the exposure could help. May God place a hedge of protection over your little boy and your entire family. I pray for complete healing, strengh and love. God bless you all. All the best for a healthy 2017 !